The Paul Mitchell Neuro Dry Hair Dryer uses tourmaline ions to speed up drying time, reduce frizz and enhance shine, leaving your locks looking lustrous. Ergonomically designed, it features a Clean Filter function which is activated by the SmartSense microchip, which will ensure peak performance and efficient styling. 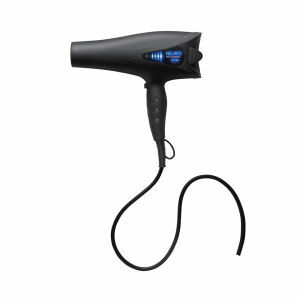 With a long-lasting AC motor, the 2000W dryer has an exterior LCD display, an airflow and heat indicator and protective soft touch coating.